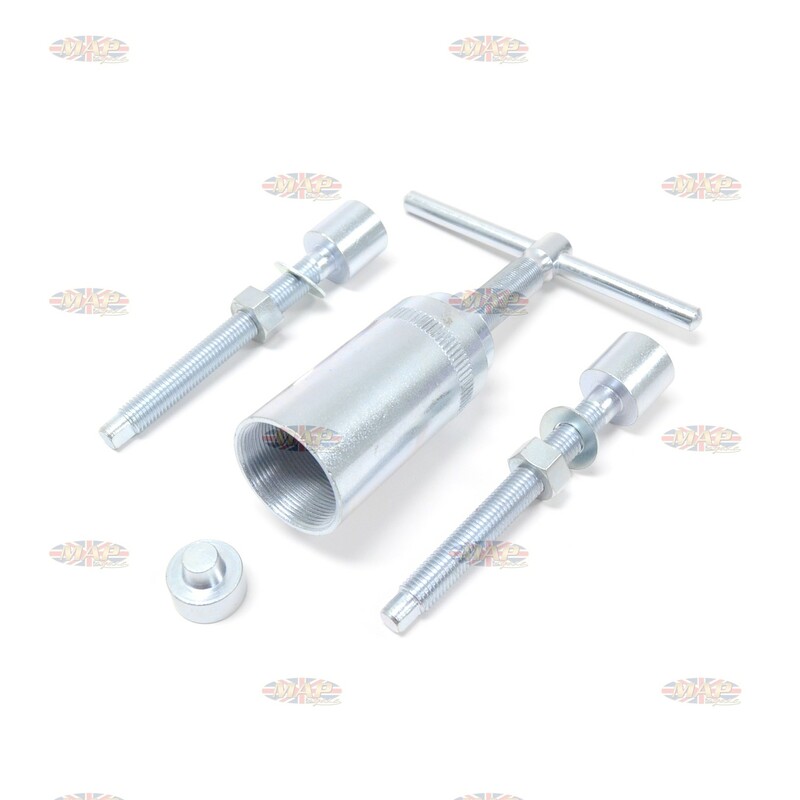 Triumph Camshaft Cam Gear Puller Replacer Installer Tool Kit is sold out. More are on the way. 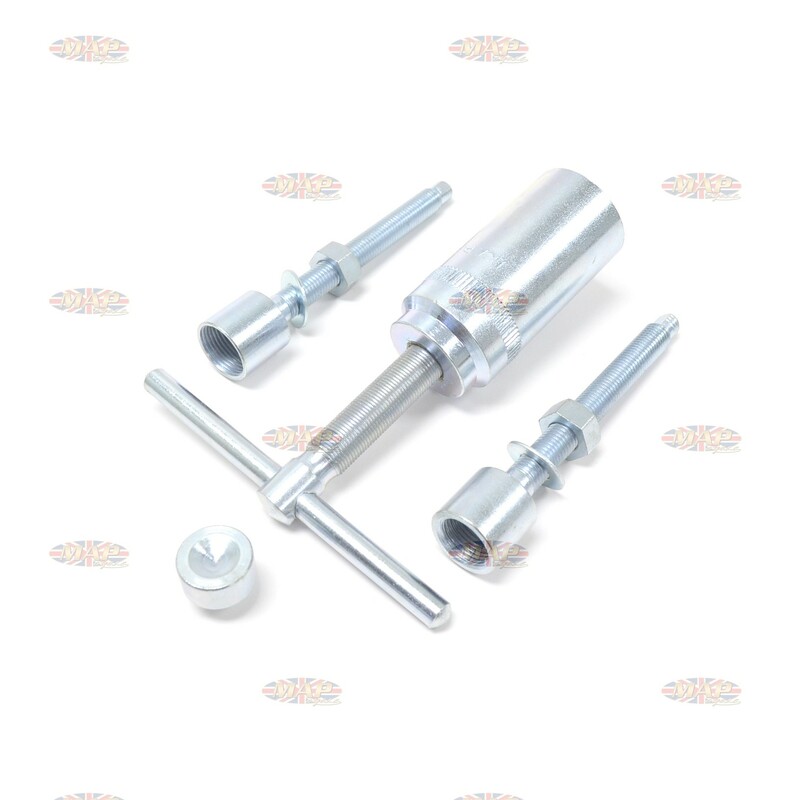 This camshaft gear tool kit is a high quality product designed to work on most pre-1975 model Triumphs with central external threads. An exact replica of the factory tool (60-2213) which is no longer available. 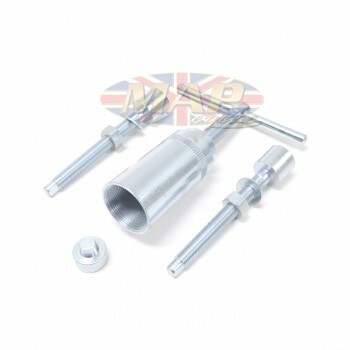 Includes adapters to remove and replace cam gears.